Every year ABC Family hypes its popular “25 Days of Christmas” schedule, during which it airs an odd grab bag of Christmas programs and generic “family friendly” films from December 1st through 25th. This year’s offerings include a bevy of non-Christmas options, such as Harry Potter, Finding Nemo, and Aladdin, as well as seasonal “favorites” like Holiday in Handcuffs, A Very Pink Christmas, and Santa Clause 3: The Escape Clause. 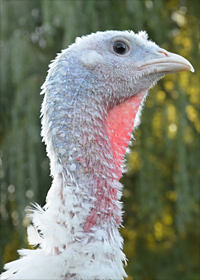 Every year around Thanksgiving Larry and I sponsor two turkeys through Farm Sanctuary’s Adopt-a-Turkey program. Today is the day! This year we chose Payton and Elizabeth (pictures below © Farm Sanctuary). 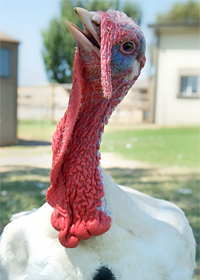 I know some people think turkeys are ugly, but come on! Look at Payton! I love him so much. Look at his expression. Can’t you picture him breaking into a musical number at any moment? 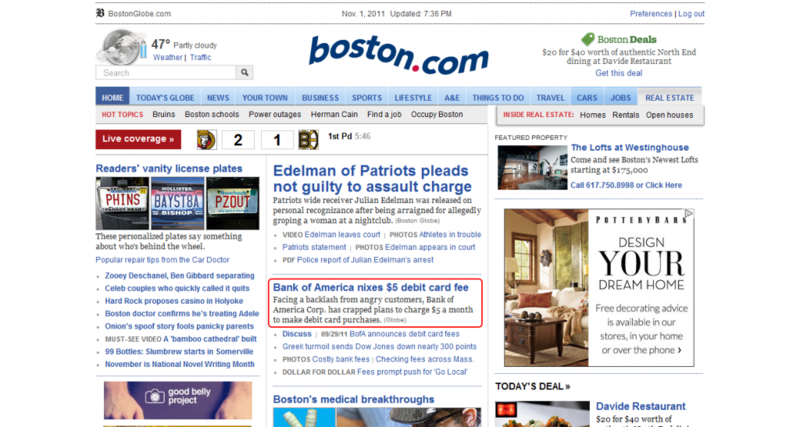 Anyways, it’s a nice little tradition, and I look forward to it each year. 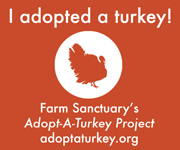 If you are interested in adopting a turkey you can click the image below. If you are interested in mocking me, you can leave me a comment on this post. I know that it is embarrassing when a typo makes it into your publication, and I really shouldn’t laugh at this, but…COME ON—can you blame me? It’s so classic! And who doesn’t appreciate a little schadenfreude now and then?